Bionic Briana: the Diamond Fizz. A few days before the new year, NPR had a story about the revival of vintage cocktails. 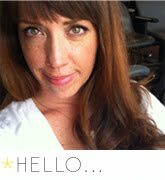 Since I love a good mixed drink and new year's eve was upon us, I took notes! And then decided to make a diamond fizz to be had with those decadent hot chocolate pancakes we had for brunch. 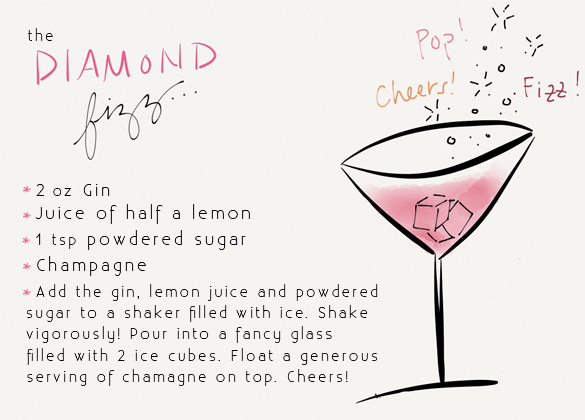 Our diamond fizzes ended up being pink as I used a rosé champagne to top the gin-and-lemon-juice mixture. They were good! But stroooooong. Maybe a little too strong for 11 o'clock in the morning, to be honest. And, if we make it again, we'd do it the way they recommended in the NPR story which is with raw egg whites (!!) and simple syrup instead of powdered sugar. What is your favorite cocktail? I love a good gin & tonic. And then there is always our summer favorite, the dark & stormy. Another one I took notes on was called The Godmother! Vodka + Amaretto stirred over ice. Mmmmmmmm. The diamond fizz sounds great. I made cranberry & rosewater granita to mix with our Champagne Christmas morning. It diluted the alcohol a bit which was nice for brunch time drinking! I love a gin & tonic. Perfect for summer days.